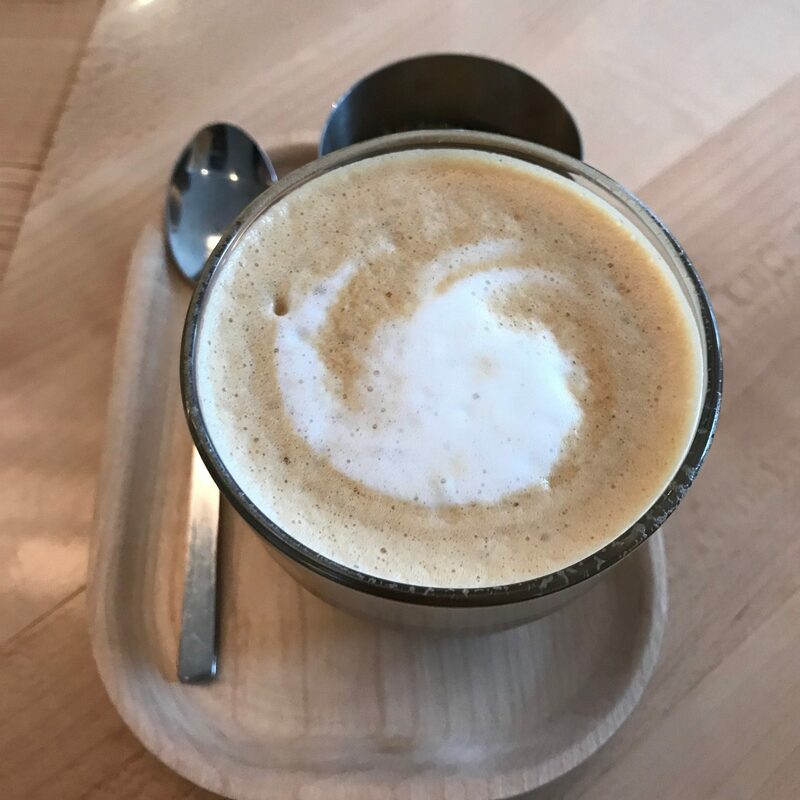 i am sure that dinner is a must, but on a recent rainy, lazy Sunday we ventured to Misi in Brooklyn, a very popular new restaurant from acclaimed chef, Missy Robbins. Robbins was named Best New Chef in 2010 by Food & Wine Magazine. 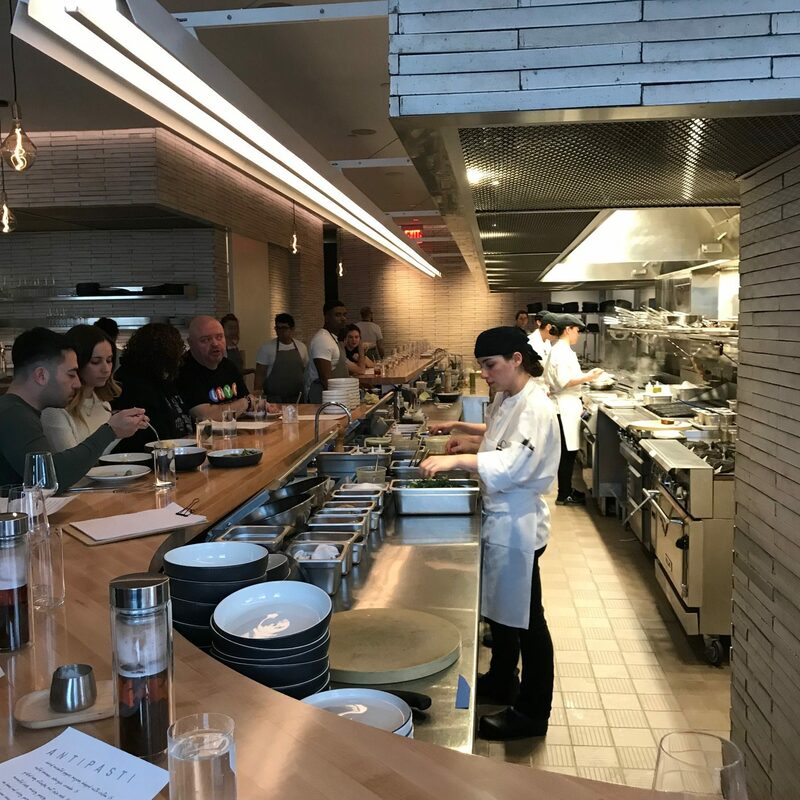 In 2018, Robbins was recognized as Best Chef New York City by the James Beard Foundation. Expectations ran high after all the accolades. 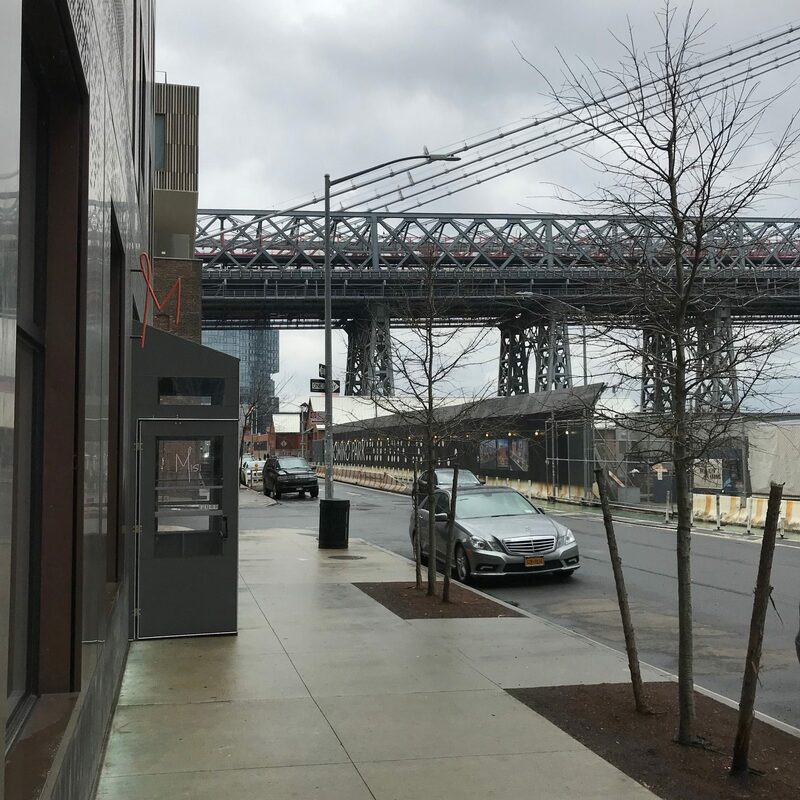 The location is picturesque, tucked into a corner of Kent Avenue with a view of the Williamsburg Bridge. 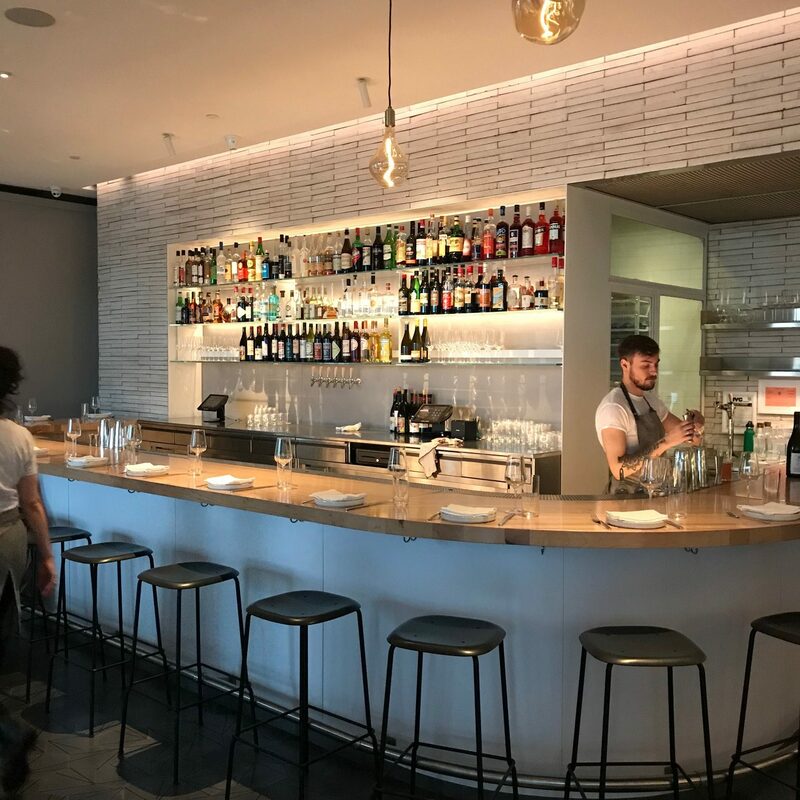 The restaurant, although small in size, appears open and expansive with clean, sleek lines. 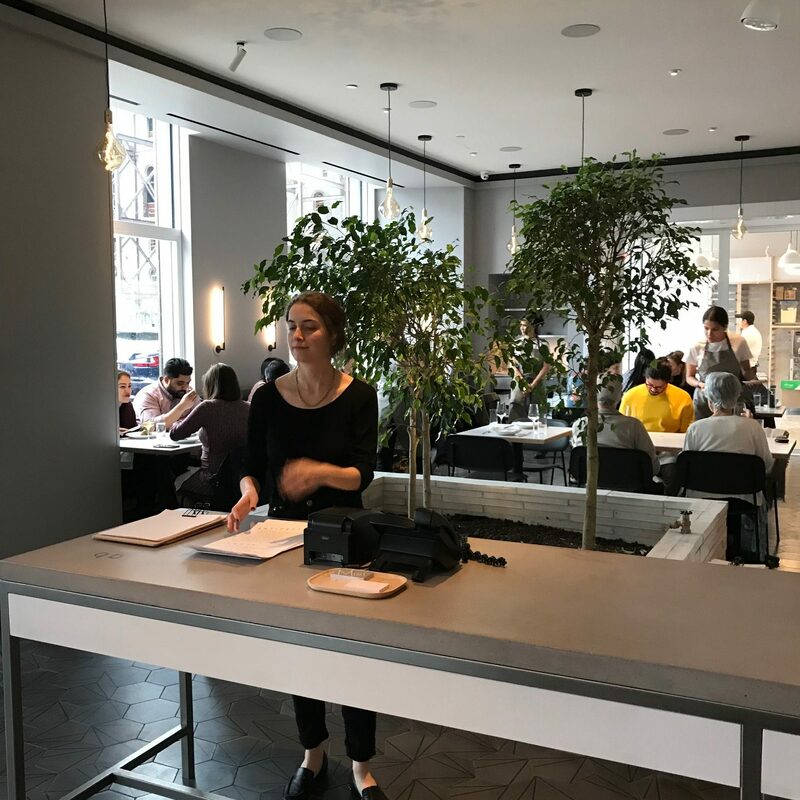 We chose the kitchen counter to while away several delectable hours as we prefer zeroing in on the kitchen action and engaging with staff and other bar flies rather than sitting at a table. I started with a Spritz consisting of misi bitter, nino franco ‘rustico’ prosecco and club soda which was even more appealing than an Aperol Spritz since the bitter herbs are home brewed and the end result is less sweet than an Aperol cocktail. There are only three sections to the menu, vegetables, pasta and gelato so the decision making is relatively easy. If carbs are your nemesis there is a steak option which is not on the men and looked huge and delicious, but the pastas are not to be missed so lighten up and book a spin class for the next day. The vegetables section is enticing. 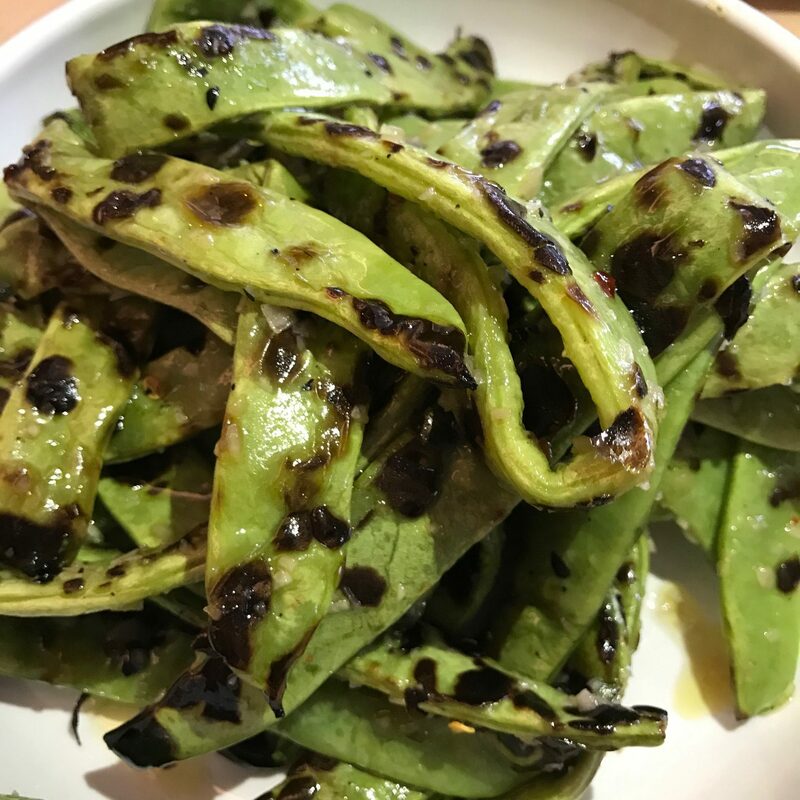 We settled on the seasonal grilled Runner Beans with a garlic vinaigrette and chilies which were delicious ($15). 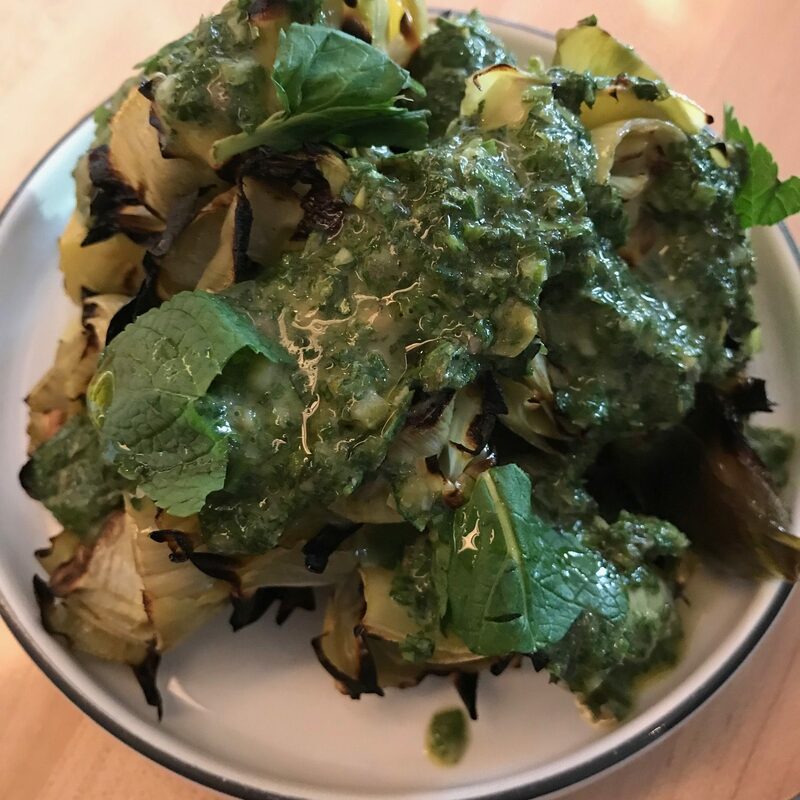 The grilled Baby Artichokes were sensational highlighted by the mint salsa verde infusion. ($16). 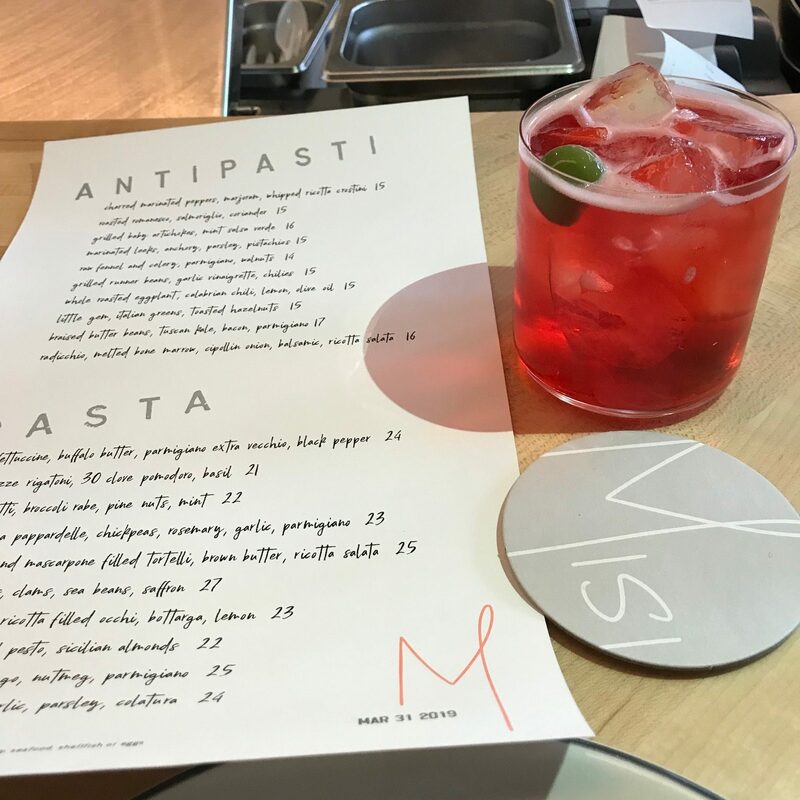 The outstanding pastas which Missy is known for were delicate and so very fresh. 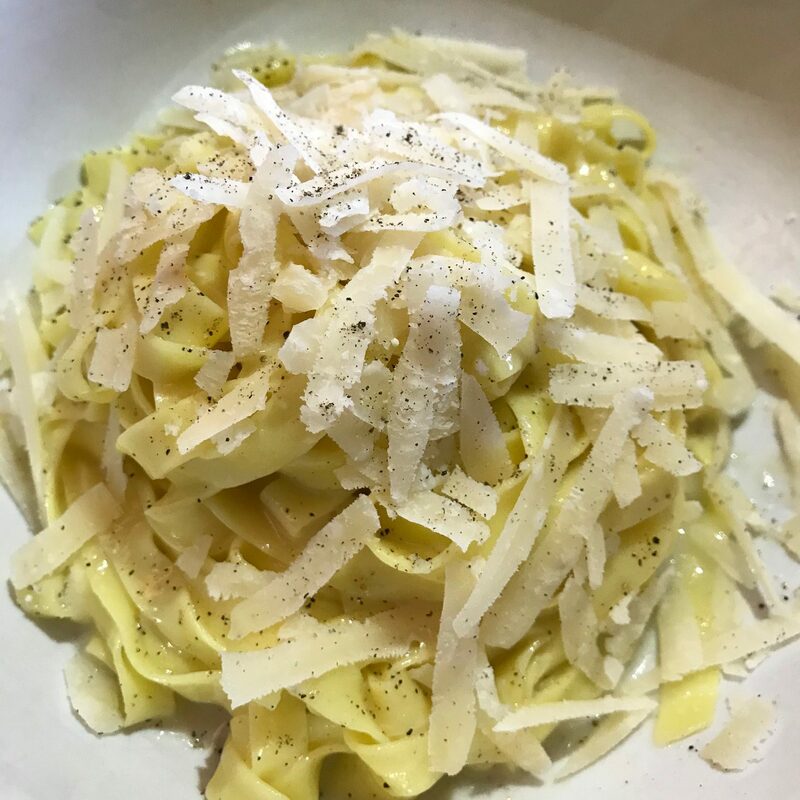 The Fettuccine with buffalo butter and parmigiano is amazing in its’ simplicity with a cheesy tang and perfectly prepared ($24). 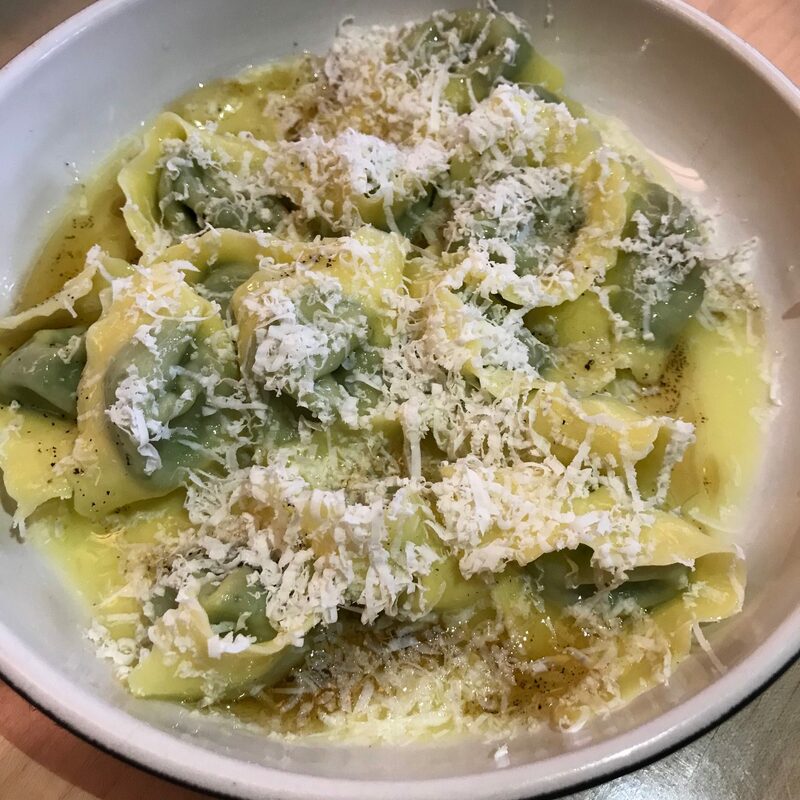 The Spinach and Mascarpone filled Tortelli in brown butter with ricotta salata are little pillows of decadence, the butter sauce divine ($25). We shared tastes with two lovely ladies. The only disappointment was their tasteless Whole Roasted Eggplant with calabrian chilie, lemon and olive oil. 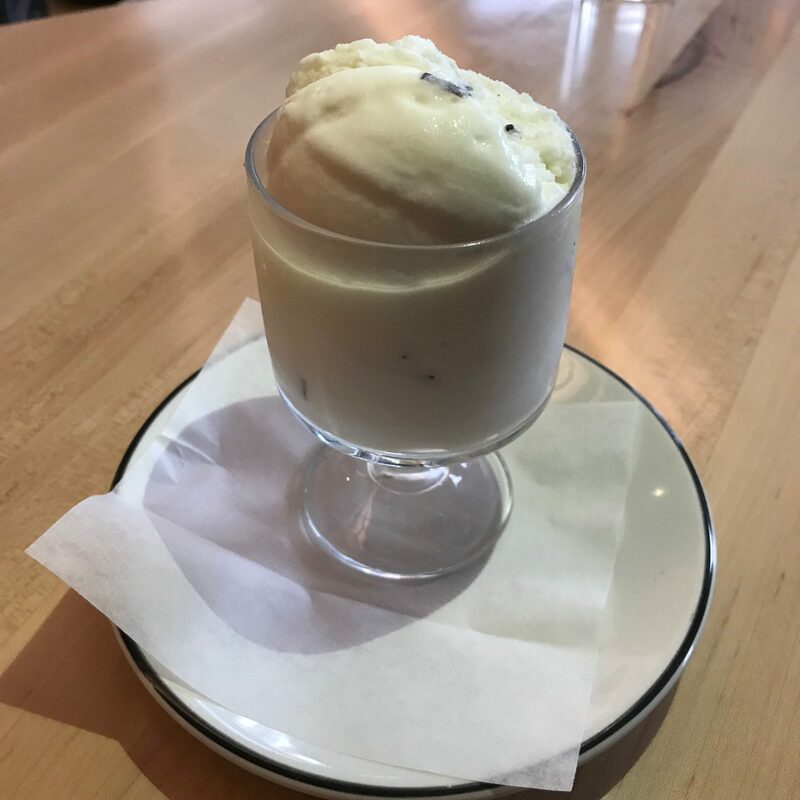 The homemade Mint Gelato was a refreshing end to a fabulous brunch ($8). You’ll eat your vegetables, pasta and gelato on the ground floor of a high-end condo building by the water in Williamsburg and enjoy every minute. Misi 329 Kent Avenue Brooklyn, New York. Dinner nightly 5:30-11pm. Lunch Friday-Sunday 11:30am-2:30pm. Reservations on Resy. Street Parking. Walk ins welcome.